To maintain the natural beauty of your wooden floors, you need to provide regular sanding for it. This is work which needs to be done by professionals with specialised machines and qualitative coatings. We offer highly effective floor sanding in Earls Court SW5 which is suitable for residential and commercial properties. It is done by skilled and trained technicians who can offer you a number of sealants to choose from. They can sand down your new and old hardwood, softwood, parquet and other types of wooden floors. 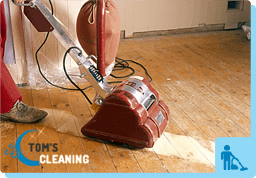 Our floor sanding experts will inspect your floor. They will prepare its surface by removing the staples and tacks from it. Then, our technicians will scrape the old sealant from your floorboards or planks using drum or belt sanders with coarse-grit sandpaper. This will also remove all defects, stains and scratches form the boards. After that, they will make a few more cuts using medium-grade and fine-grade sandpaper to make the floor perfectly smooth and levelled. Hard to be reached places, rims and stairs will be sanded with edgers, which are designed for this purpose. After that, the floor will be covered with the chosen by the customer sealant. We offer water-based, oil, polyurethane and other floor coverings. If there is any need of repairs, dents, worm eaten areas or cracks which need to be fixed, we can do this work as well. Our technicians are specialised in restoration and renovation of wood floorings. Use our professional floor sanding services which we provide in Earls Court SW5 and the surrounding areas. If you want to keep your wooden floors in good condition and use them long time, use our floor fitting and polishing services. They will eliminate the dark spots, scratches, darkening and defects from your boards and timbers. Our craftsmen will take care of your floor coverings the best possible way. 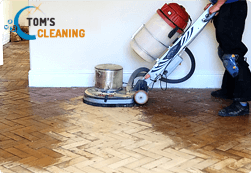 They are at your disposal in Earls Court SW5 every day to provide you qualitative floor sanding.